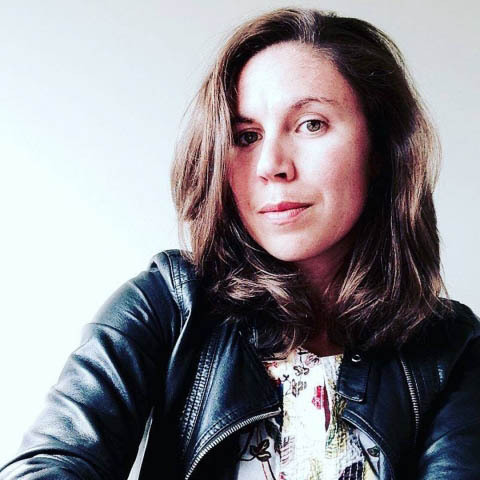 Liz Trapp, who studied at Ohio University, Columbus College of Art & Design, and the Pont-Aven School of Art in Brittany, France is a contemporary art historian, arts writer, and studio practitioner. She earned her BFA in Painting and Drawing and her MA in the History of Art, both from Ohio University. Liz earned a Post-Baccalaurete certificate of study from the Pont-Aven School of Art, and her MFA from Columbus College of Art & Design. Liz has taught at Columbus College of Art & Design since 2011 and teaches art history in the integrated fine arts studio curriculum as well as Modern Art, Contemporary Art, Graduate Theory and Criticism. Additionally, Liz advises each History of Art and Visual Culture graduating student in the writing of their thesis. In 2014, Liz was awarded the Shafik Gabr Fellowship for Citizen Diplomacy, which brought her to Cairo, Egypt where she studied street art near Tahrir Square. Liz's studio work was also recognized in New American Paintings in 2013, and she has a chapter on Egyptian Street Art in the book entitled "Social Practice Art in Turbulent Times: The Revolution Will Be Live" due out in 2019 from Routledge Press.